This approximately fifteen foot tree, on a downtown city street in Bangor, was heavy with a berry-like fruit on this day. Earlier this spring it had white, flowing flowers. 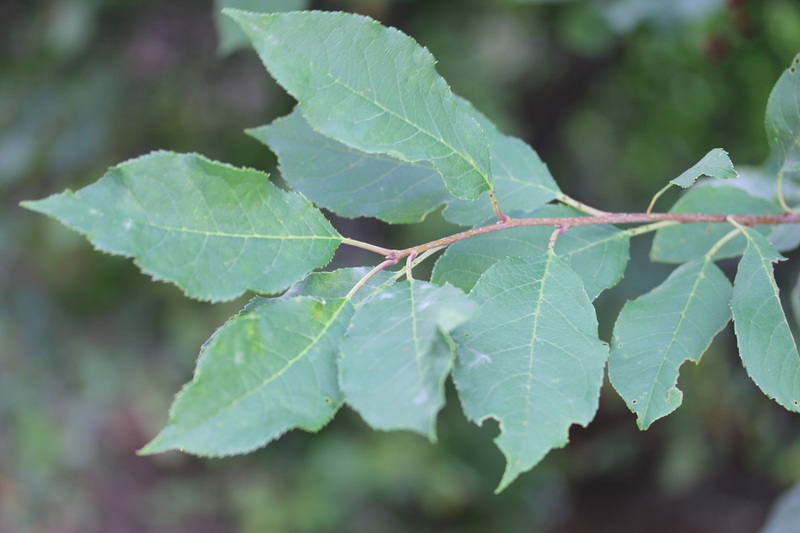 Forest Trees of Maine, by the Maine Forest Service, helped to determine that this is Common Chokecherry, Prunus virginiana L. The book includes information for 78 species of trees that are commonly found in Maine’s forests. It is a very helpful resource to gain a good base on tree identification.